Design the right solution. Create simple click-through diagrams or highly functional, rich prototypes with conditional logic, dynamic content, animations, math functions, and data-driven interactions without writing a single line of code. Do you want to create a realistic prototype for your project? do you want to get early feedback for your app before development? Join Irfan Rosandi for a fun class in designing an interactive form prototype in less than an hour. Whether you are a UX Designer, UI Designer, Developer, or anyone who want to create a realistic prototype, this class is for you. In this class you will learn how to use one of the best prototyping tools called Axure RP to create an interactive prototype. 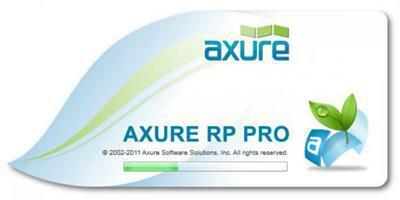 Axure RP Pro is a dedicated tool for prototyping web sites and web applications. It is based on concepts known from Visio and web design tools, and elegantly combines the best of the two worlds. Interaction designers have suffered from the fact that there have been no decent software tools on the market dedicated to prototyping. Those of us who did not stick with the pen, paper, scissor and glue stick method of paper prototyping, have had no other option but to use and adapt tools designed for other purposes, such as Visio, Dreamweaver, PowerPoint, and Photoshop. Axure have set out to change this. Their Axure RP Pro is a dedicated web prototyping tool. All it does is prototyping, and it does it quite well. Axure RP Pro enables application designers to create wireframes, flow diagrams, prototypes, and specifications for applications and web sites faster and easier than creating static mockups with their current tools.